Devil’s Claw, or Harpagophytum Procumbens, is a herbal medication commonly used in the management of several disorders. This plant is a native to Africa. The fruits, roots and the tubers of this plant are used for medicinal purposes. 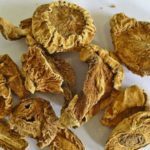 It is commonly used in the management of joint diseases like osteoarthritis, and rheumatoid arthritis. Devil’s Claw is known to possess strong medicinal properties that can help to provide relief from these conditions in a safe and effective manner. The potent chemical compounds of Devil’s Claw include iridoid glycosides, harpagoside, 8-feruloylharpagide, 8-p-coumaroylharpagide, and 8-cinnamoylmyoporoside. It also contains pagoside, isoacteoside, acteoside, 2,6-diacetylacteoside, 6′-O-acetylacteoside, cinnamic acid, and caffeic acid. It offers a rich source of procumbide and procumboside. Devil’s Claw can be used for the management of joint diseases. It has been found to be beneficial for the patients suffering from osteoarthritis, and rheumatoid arthritis. 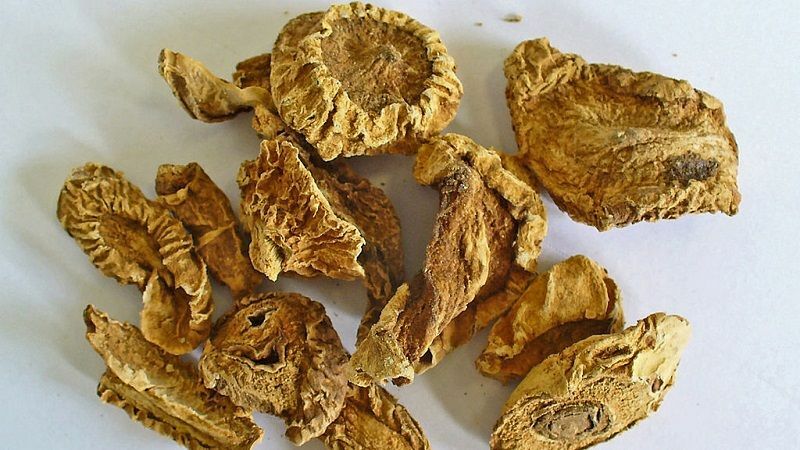 Devil’s Claw is commonly used to obtain relief from the symptoms of rheumatoid arthritis. It helps to treat this condition by producing anti-inflammatory and analgesic actions. It relieves pain and stiffness in the joints caused due to this condition. Rheumatoid arthritis is a common joint disorder. It is considered an autoimmune condition as it is believed to occur due to the abnormal response of the immune cells against the tissues in the joints resulting in chronic progressive damage. This condition usually affects the small joints of the fingers and toes. It causes significant loss of mobility of the affected joint and can produce a negative impact on the patient’s life. Devil’s Claw slows down the progress of this disease and enhances the range of movements of the joints. This helps to improve the quality of patient’s life. How Does Devil’s Claw Work in Rheumatoid Arthritis? Devil’s Claw produces a strong anti-inflammatory action. It reduces swelling and pain in the joints and improves their flexibility and range of movements. It also acts as an antioxidant and prevents damage to the joint tissues caused by free radicals. The analgesic action of this medication helps to relieve pain and offers ease of movements. It protects the joints from the age-related wear and tear and improves their longevity. It also protects the joints against the damage caused due to the abnormal response of the immune system. Devil’s Claw has been proven to be an effective natural medication for the treatment of rheumatoid arthritis. 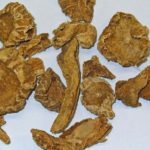 The effectiveness and safety of this herb in the patients suffering from general rheumatic disorders were evaluated during research. The study was aimed at assessing the analgesic and anti-inflammatory properties of Devil’s Claw that could be beneficial in relieving the symptoms of Arthritis and other rheumatic conditions (AORC), which are the leading causes of disability, and a poor quality of life. During this research, the herb was administered to 259 patients diagnosed with rheumatoid arthritis for 8 weeks. Its effectiveness was assessed by the numeric rating scales, McMasters Universities Osteoarthritis Index, the Algofunctional Hand Osteoarthritis Index and the Western Ontario. The tolerance level was measured with the help of a numeric rating scale and the safety was assessed by self-reporting, liver function tests, and blood analysis. The results of this study indicated that Devil’s Claw could exert significant improvement in pain, and stiffness and improved the functions of the joints. Patients with osteoarthritis can benefit from the use of Devil’s Claw. This herb helps to provide relief from the symptoms of this condition such as pain in the joints, redness of the skin overlying the joints, stiffness, swelling, and restricted movement. It also prevents the progress of this disease. Osteoarthritis usually affects the weight-bearing joints like the knee and hips. As a result, the patients experience difficulty in performing daily activities. Regular use of Devil’s Claw can improve the mobility of the joints and allow the patients to carry out routine activities with ease. How Does Devil’s Claw Work in osteoarthritis? Devil’s Claw acts as a natural analgesic agent and helps in relieving joint pains caused due to osteoarthritis. It also acts as an anti-inflammatory agent and reduces pain, swelling, and redness in the joints. It prevents damage to the joints due to the free radicals by acting as an antioxidant. It also allows for the faster healing of the affected joint tissues. Research has proved the beneficial effect of Devil’s Claw in the treatment of osteoarthritis. The effectiveness of a combination of three herbal anti-inflammatory agents including Devil’s Claw at providing relief from the osteoarthritis pain was assessed during scientific research. During this study, the anti-inflammatory and analgesic properties of Devil’s claw, Turmeric, and Bromelain were investigated. The aim of this research was to assess the clinical relevance of the medicinal properties of these 3 natural sources in the treatment of degenerative joint disorders. For this study, a multicenter, prospective, observational, open-label survey was conducted at eight rheumatology centers. The research included 2 groups of patients with the first group having patients suffering from chronic osteoarthritis and the second group of patients suffering from an acute osteoarthritis. this highly valuable medicine can be bought.